The â€˜updateâ€™ function within the data loader does not allow you to specify an external ID. Well, as it turns out I needed to do just that. The simple work-around is to simply not include a required field and then perform an upsert. 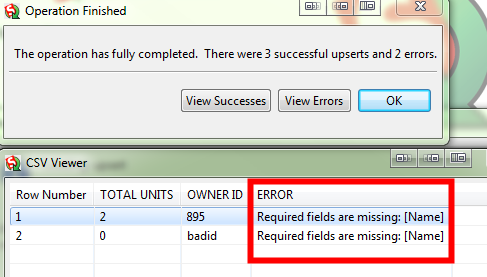 You could set a different field to required (checkbox on the field itself, not the page layout) in order to get the same functionality with the name field included. As always- if you are playing with data in a production org, test with a small batch before you load up the big guns! Just by adding +identifier before the @ symbol on any Gmail or Google Apps email account, you can use an infinite number of email addresses that all drop into the same account. All of these messages will drop into first.last@gmail.com. You can apply filters via the identifier. While I absolutely LOVE LastPass for my password management, I must admit that Iâ€™ve got a ton of accounts spread out over several domains, and it is quite a pain to manage. I wish I had known about this two years ago! Thanks Jeff Douglas for the great tip! When you work with data, sometimes you need your own personal data masseuse (I could use one for my back too!). Thoughts like â€œif only I could put all of these entries on one lineâ€œ or â€œnow if only I could put a space in every 15 charactersâ€ or â€œif I have to hit the blank key followed by the blank key any more blanking times, I am going to blank someoneâ€ often creep to mind. The good news is that you can build a tool to tackle a lot of these repetitive tasks using AutoIT, and the language is very accessible. All I would do is run this script and hop into notepad at the start of the file. You can change the loop settings to match the length of the file, and of course make any changes to keystroke combinations. 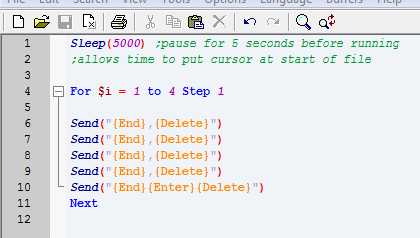 You can even get fancy and program it to automatically change to notepad. I was more comfortable with granular control. 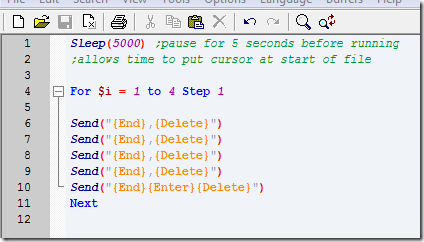 The are an infinite number of ways to use this program. With a little imagination and some basic understanding, this can be another great tool to add to the toolkit. Check out the online documentation, and here is a good introduction including a list of commonly used keys. Happy scripting! Recently I needed to migrate opportunities from our legacy system into Salesforce. Being no stranger to the data loader, this is normally not a problem. The tricky part was that the opportunity needed to be linked to an external ID field on the account instead of the account ID, which cannot be accomplished with the data loader. 1. Run a report that contains the external id field (Enrollment Owner ID) and Account ID (filtering out where enrollment IDs are not present). 2. 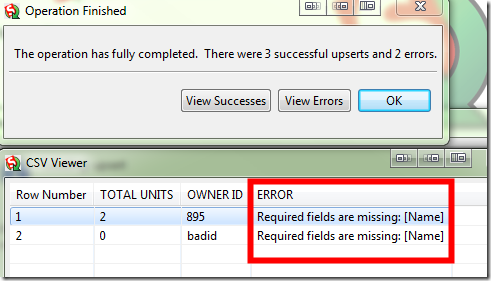 Load my Salesforce Find and Replace Template (Excel 2007 required â€“ may work w/2003 & compatibility pack). Paste in the results of the above report into the left two columns, starting in the yellow section (in this case, the order of the fields needed to be reversed). 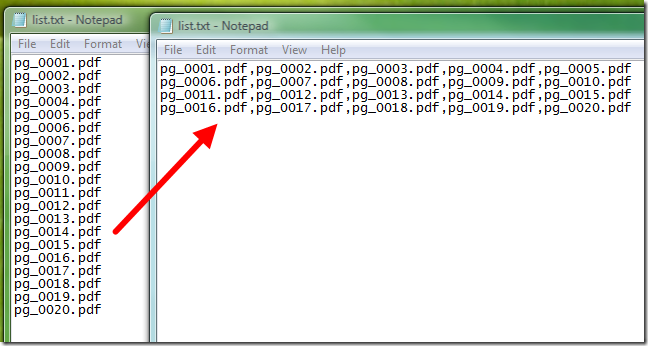 Then paste in the External IDs that you are looking to match in the clear column on the right. Select the Salesforce ID formula (E5) and double click the bottom right plus sign to extend the formula throughout the entire worksheet. Column E will now output the corresponding ID from column B, when fields D and A match. The matching algorithm will only find one match, so it is best to have a duplicate free list of external IDs. 3. Take the matched Salesforce IDs paste them into a new column in your import file. A quick paste into notepad, select all, cut, and into the worksheet it goes (to remove excel formatting), nicely matched. Credit to Mr Excel for the formula magic. Before I got the chance to finish this post, I needed to have this template match a data field as well. I used this additional field and a formula to add a picklist selection to a multipicklist field with existing data (without this formula, the data loader would override the existing selections). In case youâ€™re curious, the formula in H4 is =CONCATENATE(G4,"; Weekly Mailing"). Disclaimer: use at your own risk. Be very careful playing with the data loader. Spot check your data and make sure to do a test run of a few records before proceeding with a large data set.